Sexually transmitted diseases (STD), also known as a sexually transmitted infections (STIs), are very common, especially among young adults. There are different types of STDs, and each has the potential to appear without symptoms. If you engage in any form of sexual activity, you are at risk of an infection. Educating yourself on the list of STDs, and the unique symptoms and treatments, should engender a greater appreciation for self-protection. If you’re concerned that you may have an STD, stop by your local FastMed Urgent Care for a safe and convenient evaluation. If anything in the list of STDs concerns you, please visit your local FastMed Urgent Care to discuss any issues with a medical professional. 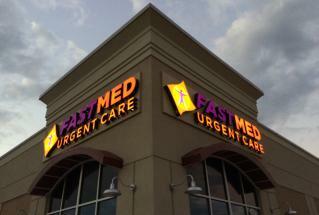 FastMed is open 365 days a year, and no appointment is necessary. For additional information of various health-related questions, check out our Health Resources Center.